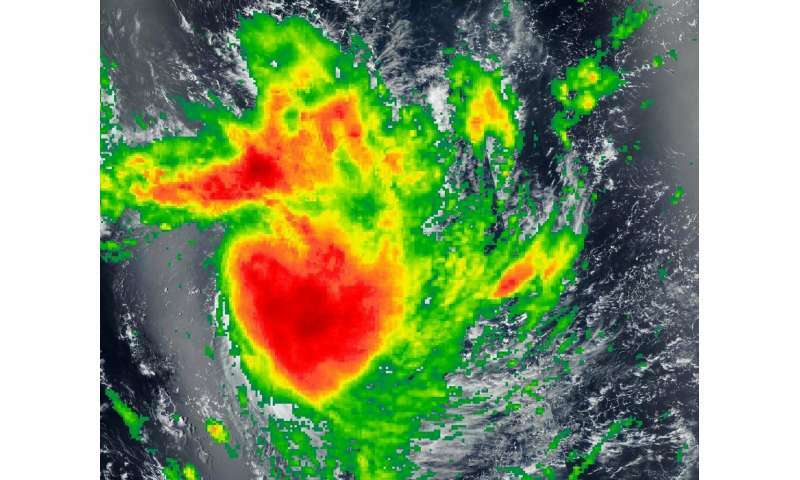 Tropical Cyclone Funani continued tracking southeast through the Southern Indian Ocean on Feb. 7, 2019. When the GPM satellite passed overhead, it revealed that Funani's strongest rains wrapped around the center and extended northwest. At 10 a.m. EST (1500 UTC), the center of Funani was located near latitude 24.4 degrees south and longitude 71.2 degrees west. That's about 813 nautical miles east-southeast of Port Louis, Mauritius. Maximum sustained winds were near 105 knots (121 mph/195 kph).